At 70 terabytes and growing, Wal-Mart's data warehouse is still the world's largest, most ambitious, and arguably most successful commercial database. 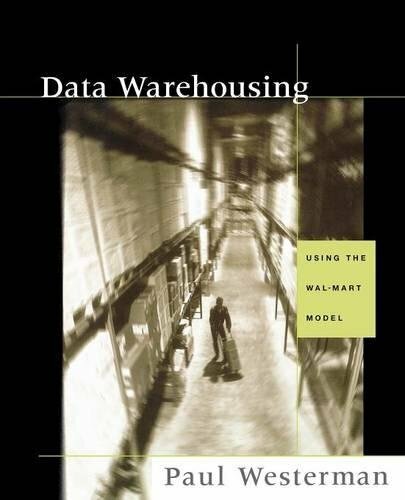 Written by one of the key figures in its design and construction, Data Warehousing: Using the Wal-Mart Model gives you an insider's view of this enormous project. Continuously drawing from this example, the author teaches you the general principles and specific techniques you need to understand to be a valuable part of your organization's own data warehouse project, however large or small. You'll emerge with a practical understanding of both the business and technical aspects of building a data warehouse for storing and accessing data in a strategically useful way. What further sets this book apart is its focus on the informational needs of retail companies-including both market and organizational issues that affect the data's collection and use. If retail is your field, this book will prove especially valuable as you develop and implement your company's ideal data warehouse solution. * Written by a member of the team of four engineers who designed and built the Wal-Mart Data Warehouse database, a team whose database design was recognized internally in 1991 by Wal-Mart with the company's Team Innovational Technical award. * Provides essential information for project managers, consultants, data warehouse managers, and data architects. * Takes an in-depth look at a wide range of technical issues, including architecture, construction approaches, tool selection, database system selection, and maintenance. * Addresses issues specific to retail business: vendors, inventory, sales analysis, geography, article categories, and more. * Explains how to determine business requirements at the outset of the project-and how to develop return on investment analyses after the warehouse has been brought online. Paul Westerman is a Global Marketing Manager for Compaq Computers, Inc. He began his retail career with Wal-Mart, where he was one of the four people responsible for designing and building the Wal-Mart data warehouse-still the world's largest. Since then, Paul has played a key role in many very large data warehouses projects around the world-in the retail industry, telephone industry, and other areas-and has spoken to audiences around the world about the benefits of applying the data warehouse technology to business. He holds a BS in Computing and Information Sciences from Oklahoma State University.